Home Page | Allen Home Builders, Inc - West Michigan's premier custom home builder specializing in cottages, cabins, chalets, and modular homes. Located in Muskegon, MI at 6420 E. Apple Ave. (M-46) 6 miles east of US 31. Complete custom home packages typically range from $140/sq ft to $150/sq ft, but we will work with you to design a home that meets your unique needs and fits in your budget. What if …Design, Function & Affordability were as important to your builder as they are to you? 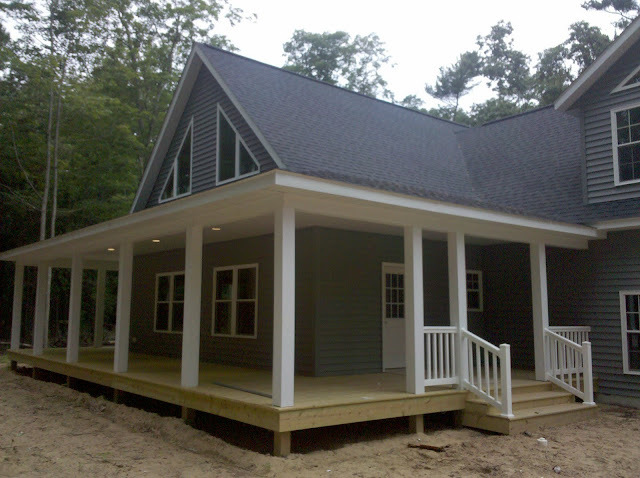 What if …You could custom build a beautiful home for less than you could buy a pre-built modular home, all without compromising the quality of the craftsmanship, the architectural style or any of the finishing touches? What if …Instead of limiting your options and telling you what you can’t do, you found a builder who was easy to work with and cared as much about getting what you want in a home as you do? Don’t worry about the weather! We build year-round and the sooner we break ground on your new home, the sooner you’ll be moving in. And for those who’ve been waiting to build, this fall is a great time to start. All you have to do is tell us what you want and enjoy watching your home go up. And of course, move in. Enjoy the web site and please contact us with any questions. We’d love to hear from you. Thanks again for visiting us. We look forward to seeing you soon! We are still taking new orders for new homes to start this fall (2018). Give us a call now to look at starting your new home.